End of Construction–Thanks for your patience! 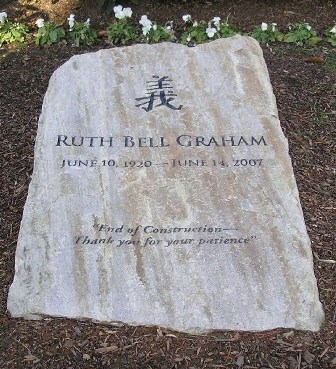 On a recent vacation trip with my wife, we visited the Billy Graham Library and museum in Charlotte, NC. It was fantastic! Throughout the visit, the message of the gospel was penetrating, convicting, and refreshing. Being a pastor in my 52nd year of life, and realizing that the sand in my hourglass of time is getting low, I cried and rejoiced at the same time observing the brevity of time and the importance of making every moment count. Kudos to the BGEA for their superbly built and God-honoring museum. Jesus is Still the Friend of Sinners! 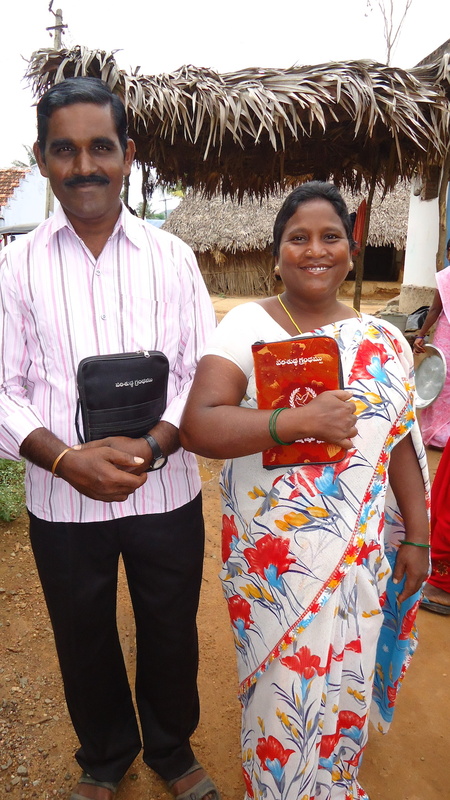 I get many testimonies from the front lines of church planting in rural India. 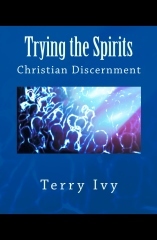 They are filled with stories of the Holy Spirit’s work similar to what we read in the book of Acts. The Lord is just as committed to reaching men and women that are looking for truth as He has always been. After all, Jesus is the “same yesterday and today and forever.” (Heb. 13:8) Thank God He is, and here is a story I recently received that demonstrates the Lord’s tender care for all people, regardless of where they have come from. The lady being baptized in the photo is Rati, who wrote this letter to me. Allah Did Not Answer, But Jesus Did! “Hello, my name is Herra, a follower of the Muslim religion. I had never heard about Jesus. Since I born and brought in Muslim religion and a traditional family, I was never allowed to hear about the other religions. The last few years my family has gone through much suffering and poverty. We were not able to bare it anymore and so we made plans to die by drinking poison. Many times we prayed to our Muslim god ALLA, BUT WE RECEIVED NO ANSWER from him. A couple of weeks ago, our Project India team traveled and did outreach and evangelism in a village where people came to market in order to sell their vegetables, fruit and fish. Our team gathered small crowds and passed out gospel tracts. One tract, “The Cross” is a message I wrote last year for the team to translate and distribute. It discusses the plan of salvation from Creation, the fall of Adam, the promise of a Messiah, and the birth, life, death resurrection and ascension of Jesus. I wrote it in very simple language because it had to go through translation and printing for the rural villages we are reaching in India. As our team passed out tracts, they gave one to a man who was at the village that day selling fish to get money to provide for his family. He lives in a coastal village several kilometers away. His coastal village has a high rate of illiteracy, and most of the population worship the water and fish hindu gods. Very few from his village can read or write, but he was one of the few. He took the tract, placed it in his pocket, and carried it back to his village after he had finished selling his fish. We have been rapidly moving toward a post-Christian culture. That can be daunting to those, like myself, who are old enough to remember the Christian dominating culture and have lived through the transition. However, if we embrace one important dynamic, it does not have to be the hurdle we think it is. Meeting times – do we worship a day or a person? Dress codes – do ties and dress slacks make us more spiritual? Meeting protocol – why 3 songs, an offering, a sermon and a prayer? Bible linguistics – why heavy theological language which most don’t understand? This story is unfolding time after time through the work of Project India, as we have seen nearly 4,000 come to Christ in the past 14 months and planted 41 churches in previously unreached villages. However, the story of this young man will help explain some of the phenomenal results we are seeing. Turn on religious T.V. and it is easy to hear gospel messages about how to “be a better you,” learn to “think positive,” or get “healthy and wealthy.” These messages soothe the egos of the ignorant and carnal, helping them to continue down their egotistical path of selfishness and materialism. These messages are preached every week by false teachers who are nothing more than modern day snake oil salesmen. Millions are thinking they are hearing the gospel, and worse than this, most of them will not find out they have bitten into a lie until they stand before the Lord and realize that are headed to hell—but it will be too late! The airwaves are filled with these “strange gospel” messages. The Christian message has been reduced to psychological self-help by many of the speakers on television. This should not surprise us, for both Paul and Peter warned us that these days would come about. (2Tim. 3:1-9 ; 2Pet. 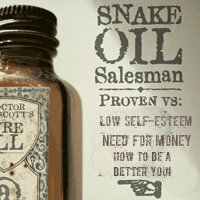 3:1-19) We have modern day snake oil salesmen who use a few words from the gospel as a means to make gullible people feel better about themselves without true faith and repentance. It is a strange gospel. I was three month’s old as I lay on the floor on a home made baby pallet. My grandmother, Mary Alice, was ironing clothes and watching over me and my older brother and sister. It was a delight for her to keep three of her grandchildren as my mother got away for some shopping. However, this was not an ordinary day…not for Mary Alice, and certainly not for me. Mary Alice NEVER told me this. In fact, it was many years after her death that my mother’s older sister related this story to me. My grandmother had shared the story with her years after I responded to the Lord’s call into ministry. When my aunt shared this with me many things in my interactions with my grandmother added up. I always felt Mary Alice doted on me. I can still see the sparkle in her eyes whenever we talked, and I can still feel the special pinch she gave me on my cheeks whenever I got close to her. However, she kept the words spoken to her by the Holy Spirit hidden in her heart and only breathed them back to God in prayer. The power of the Gospel never fails to amaze me. The truth of God’s Word and the conviction of the Holy Spirit can penetrate the depth of any darkness in the heart of man. Jesus alone has the power to change a person’s heart and give them purpose and fulfillment in life. Here is a testimony received this week of God’s redemptive grace. Some of the English is rough, but the message is precious. We are witnessing testimonies like this every week of people coming to Christ through Project India. Hello, I am Seriva B__. I just want say what the Lord Jesus has done in my life. I grew up a very strong Hindu idol worshiper. We have mother goddess in our family and I used to worship 15,000 goddesses every day. I used to worship and pray to them since my childhood. The last 35 years I was also zone goddess festival director, but not now because I have resigned. 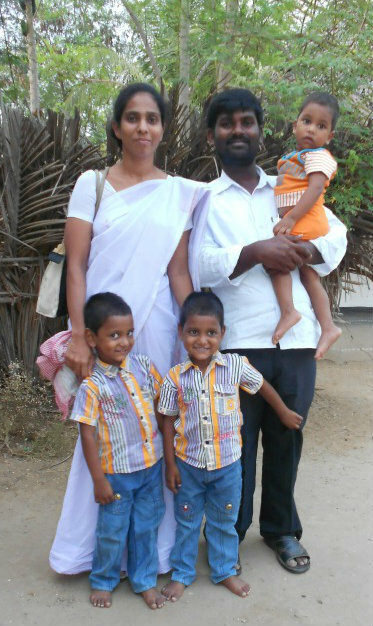 Over the past year the Lord has performed some astounding acts among rural villages in India. 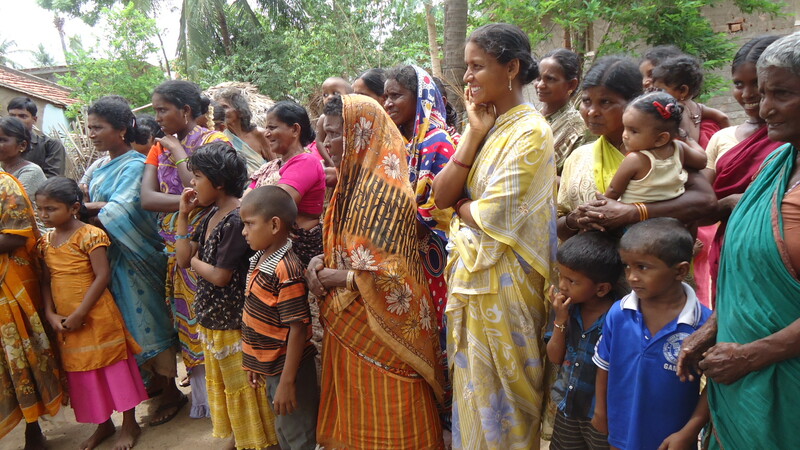 These villages had never heard the wonderful news of Jesus Christ before we reached them. They were no believers or church in their midst. This week I received a phone call of an event which demonstrates how the Holy Spirit is working among our church planters. The government leaders in these villages are upper caste Hindu. One of them, Bram*, suffered from serious heart conditions. He attended a physician and was told there was not anything which could be done to help him. He was sent home to die. For the first time in American history, we have a president who openly supports homosexual marriage. His brazened humanism, though guised with words borrowed from Christianity, is another step by the privileged and elite to force the convictions of the few upon and against the convictions of the majority; and against the moral foundation of our nation. This is certainly tragic and it reveals the slippery slope of moral decay our country has been on for several decades.